It was a very busy week for the team last week. 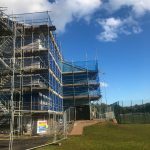 The children were off on their half term break and we were asked to complete this scaffolding project at Paignton Sports Academy before they returned. 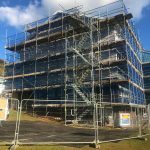 As usual no project is too demanding for the committed team at Drake and we worked hard to get this Paignton scaffolding project completed on time with the usual level of commitment and safety. In order to turn around a project like this, a great deal of planning is required. 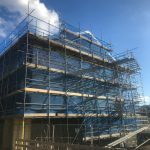 We can’t just rock up at the site, put up the scaffolding and then leave again. 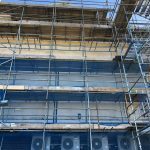 in the first instance we have to assess the project, carry out a thorough site survey and then devise a construction plan for the scaffold. We are very fortunate to have a team with lots of experience that know what they are doing and can plan effectively and efficiently with the utmost attention to detail and commitment to safety. Because of the sheer size of the project, which you can see from the gallery of photos below, we had to make sure that we completed the project with as few distractions as possible. 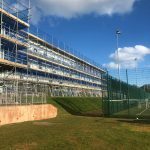 The less people on the site the better and at this busy sports academy the presence of children would have presented potential hazards and disruption. That is why both ourselves and the academy were keen to get the project completed during the school half term. We waited for the children to break up and then got to work. 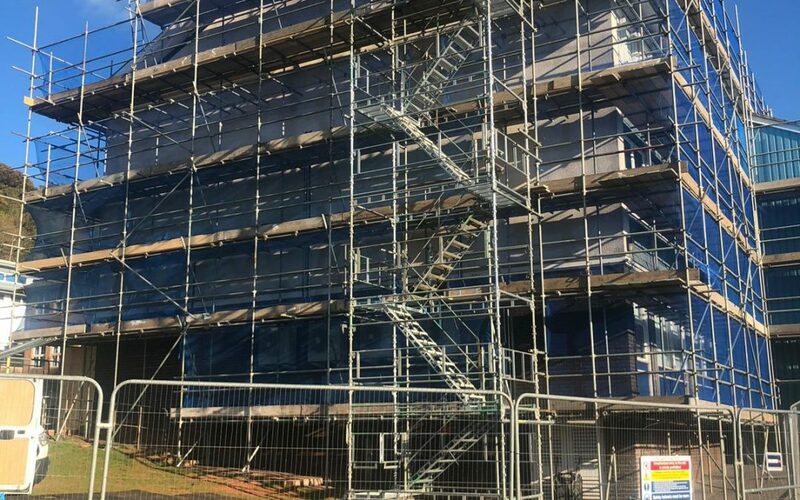 Now that the construction of the scaffold is complete, the contractors can move in to carry out work on the building before the team go back in to remove it. 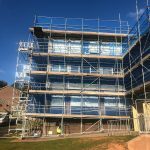 If you have a similar requirement or want advice on a similar Paignton scaffolding project then get in touch. We also cover Plymouth, Exeter and the rest of Devon as well as Cornwall and other counties further afield.